Electrocardiograms (EKGs/ECGs) can be a topic that is difficult for trainees to master. Because of this, this page has been created to try and organize the content concerning EKGs in a intuitive and comprehensive manner. A special emphasis on these pages is around trying to reveal the patterns present among EKGs to try and speed up one’s ability to interpret these clinical studies. EKGs can get very confusing. This page aims to try and organize information about EKGs clearly to avoid the confusion (image source). Determining the rate: the first step is usually calculating the heart rate of the patient. 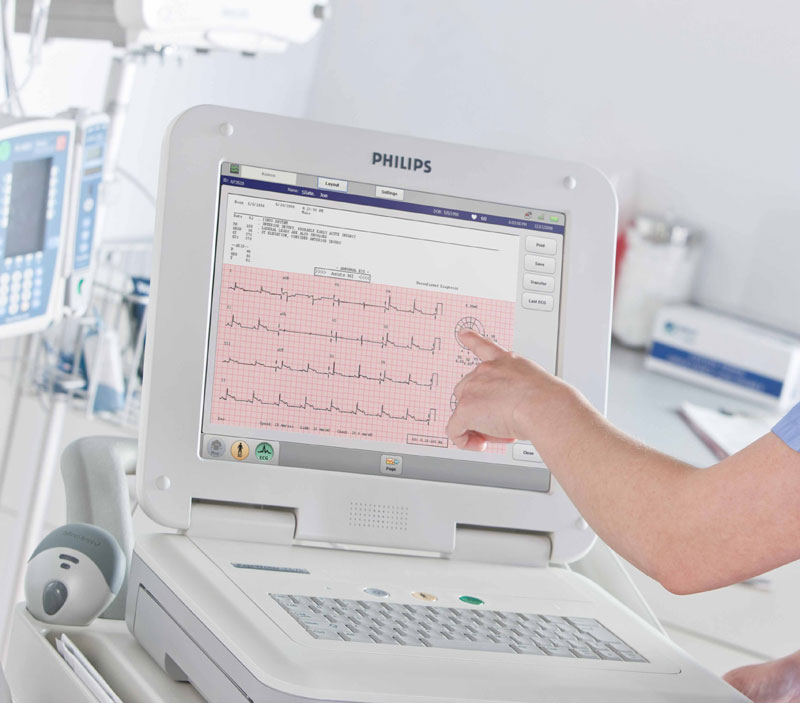 Evaluating P waves: the presence of P waves is important for characterizing the rhythm of the patient. As a result, it may be one of the first things to interpret on the EKG. Determining if the patient has sinus rhythm: an important step is evaluating if the heart rhythm originates from the sinus node (sinus rhythm). Determining axis deviation: the next step is to determine if the axis of the heart has deviated to one side or another (often caused by hypertrophy of one side of the heart). Determining the PR interval: this is the amount of time between the start of the P wave and the beginning of the QRS complex (start of atrial contraction to the start of ventricular contraction). Determining the QRS interval: the time between the start and end of the QRS complex (i.e. the time of ventricular contraction). Determining the QT interval: time between the start of the QRS complex and the end of the T wave (time between ventricular contraction and ventricular re-polarization).